The thinking behind this false doctrine is that the Jewish people have the Old Covenant and the rest of the world has the New Covenant. Therefore, a Jewish person can get to heaven by following the commandments of the Old Testament only, and does not have to believe in Jesus or the New Testament. In other words...only Gentiles need Jesus. What The Word Of God Teaches. 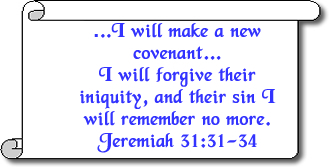 Many Jewish people are unaware that God promised someday He would replace the Old Covenant with a New Covenant. Jeremiah 31:31-34 is where the promise can be found. Two good sources from inside JewishRoots.Net for learning about this covenant include The Promise Of A New Covenant and A Closer Look At The New Covenant. Jesus clearly brought His message to Israel. Jesus clearly said He was the only way. Jesus clearly says the Gospel can save both Jews and Greek (Gentiles). 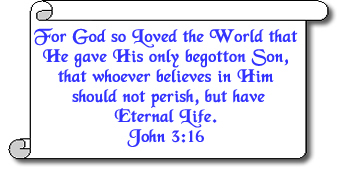 He who believes in the Son has everlasting life; and he who does not believe the Son shall not see life, but the wrath of God abides on him (John 3:36). Israel My Glory a Ministry (publication) of the Friends of Israel Gospel Ministries, Inc. January/February 2014 pp.22-23 by Thomas C. Simcox.